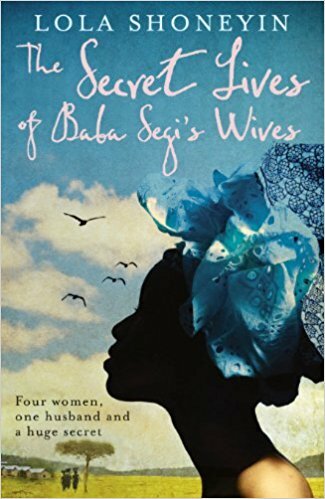 The Secret Lives of Baba Segi’s Wives is a snapshot of an unforgettable Nigerian polygamist family with surprising photobombs from the past. Baba Segi is a succesful Nigerian business owner. He lives comfortably; he has a nice home and a personal driver. He has three wives and seven children, the pride of his existence. He should be content with such a sweet life, but maybe he gets just a little bit too greedy. The day he decides to acquire a new bride is the day that upsets the balance of the household. The other wives aren’t thrilled with the fresh arrival, a woman whose education threatens to overshadow them. They consider her “the wicked wind that upturned the tranqulity of their home.” Is it a case of too many cooks spoil the broth? Things are off to a rough start for rookie Bolanle. The seasoned wives don’t accept her outstretched offers of kindness, and worse than that, Bolanle isn’t able to offer her husband what he really wants (and really works hard at)—another child. Unfortunately, Bolanle’s “belly is as flat as a pauper’s stomach” and that causes problems. The story unwinds to reveal all the wives’ turbulent, violent, tragic past lives and shocking secrets. It’s an engrossing tale that brings the reader to an understanding of the past, present, and a captivating anticipation of the future. I loved this book! It was such a unique story—a leap into a different country, culture, and an exceptional dilemma. Despite the many brutal and heartbreaking aspects of it, it is narrated in a humorous tone that drew me in and kept me going. I wanted to find out what brought the four individual women into the arms of a polygamist and what their future holds. This book, also found with the title “The Secret Lives of Four Wives,” was my book club selection. My fellow members felt the same way I did about the book. Ranging from "really like" to "love" this book was a big hit. Different. Funny. Harrowing. Memorable. And just plain good! Lola Shoneyin, The Secret Lives of Baba Segi’s Wives (London: Serpent’s Tail, an Imprint of Profile Books Ltd, 2010. ), 245.